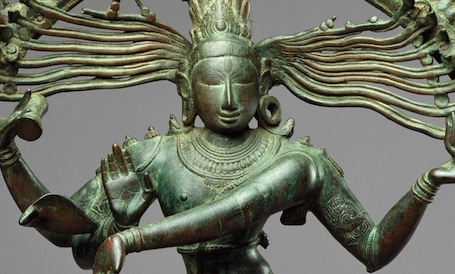 Discover thousands of years of art from the world's largest continent. Hinduism and Buddhism both developed in India. From Neolithic times to the present, artists in China have produced works of incredible skill and poetry, reflecting the power and aesthetics of successive dynasties. From prehistoric tomb sculptures to contemplative gardens, Japanese art has influenced artists around the world. Since antiquity, Korea has taken great pride in its political and cultural distinctiveness. India is the birthplace of two of the world's five major religions, and later became home to a third as well. Now scarred by conflict, Afghanistan was for many centuries a nexus between East and West. 1st millennium B.C.E. - 12th century C.E. Prehistoric jars, vast Buddhist monuments, and elegant figurative sculpture. Buddhist art reaches great heights in Tibet. From monumental palaces to rock-cut cave temples, golden crowns to painted scrolls.